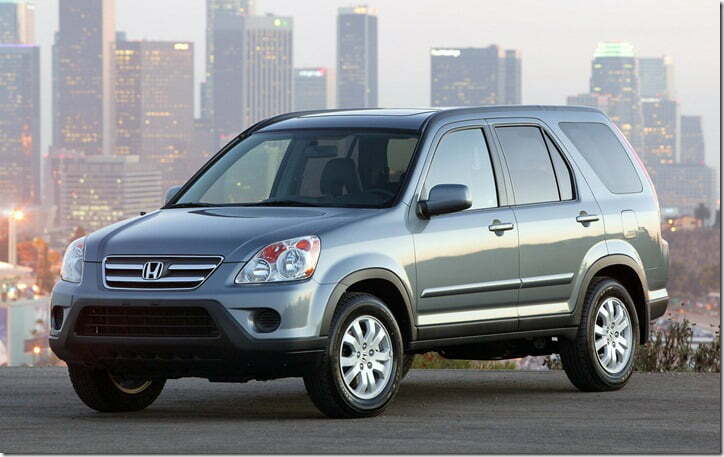 In Honda’s latest recall to address a fire hazard possibility in some of its vehicles, Honda has ordered a recall of close to 269,000 CR-V crossovers from model year 2002 to 2006. The problem relates to a master switch that controls the power windows of the vehicle. Many owners filed complaints regarding this problem and in response National Highway Traffic Safety Administration, USA has started investigating the vehicles, after which Honda announced the recall. Honda turned up with a report posted over the weekend saying they have traced the problem with the switch. As per them, liquid may seep into the door and reach the master power switch for the electric windows. This in turn would increase the electrical resistance in the switch leading to overheating and possibly a fire. While the investigation was going on, Honda tried to minimize the threat of fire by explaining to N.H.T.S.A that if the switch were to badly overheat, it would then drop in the door liner, thus extinguishing the heat and the chance of fire hazard. But ruling out the explanation produced, the agency continued its investigation and Honda was forced to recall such an big number of CR-Vs. In the news Honda said that it was aware of as many as four such fire cases but no injuries were reported. This is not the first time Honda has made a recall for fire hazard related problems. Back in September last year, Honda made a recall of 80,000 CR-Vs from model year 2006, affected by the same master switch problem. Even earlier in January 2010, Honda recalled 141,000 Fit (Honda Jazz) hatchbacks from model year 2007 – 08 for a similar power window master switch problem. This is quite concerning for a brand who has delivered unmatched quality over the years, and who is now recalling one vehicle after the other making us question the vehicles’ build quality. Honda has described the recall as voluntary, but once a manufacturer figures out a safety issue it has no option but to notify N.H.T.S.A within 5 days of its plan for a recall or it ends up paying a hefty civil fine.